Dutch conductor Jaap van Zweden leads the Dallas Symphony Orchestra through two works of French composer, Maurice Ravel. The performance first opens with Ravel's Daphnis et Chloe, which is based on an ancient tale by Greek romancer Longus. van Zweden closes the night with Bolero, the namesake of the concert.While the composition of the piece is very steady, the audience is in for a big surprise. The 30th annual Dallas Blooms festival opened last weekend on Saturday, February 22 at the Dallas Arboretum. More than 500,000 blooming spring flowers were used to compose the Birds in Paradise theme of this year's festival. 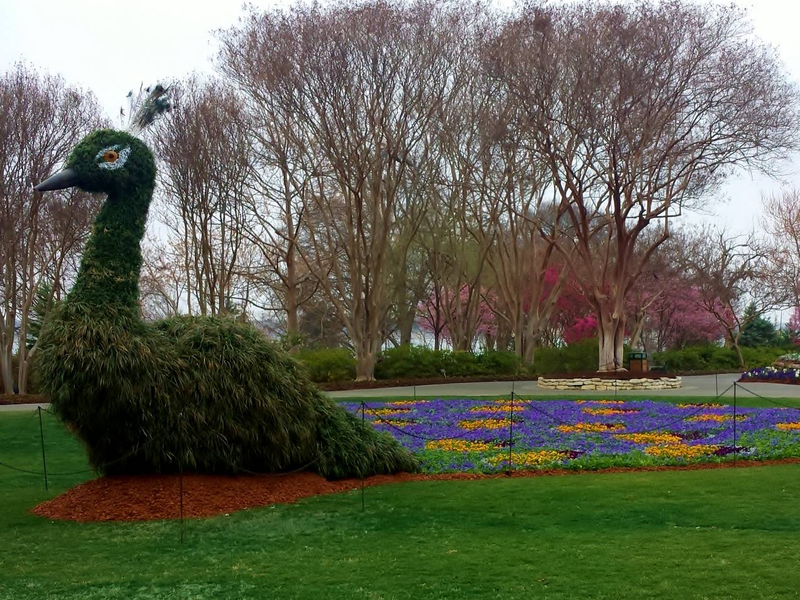 The peacock topiaries are a must-see display of color, design and craftsmanship. Visitors can also step inside bird house exhibits, built by local architects, to learn about lifestyles and adaptations of various bird species. This makes for a perfect and stimulating experience for children. Airing on ABC, Ellen DeEeneres hosts from Dolby Theatre in Hollywood. For the first time ever, the network will offer a live stream online in addition to its television airing, and on mobile devices so you don't miss a second of the star-studded glamour. This year's awards show is certain to be a stunner. Just in looking at the nominees, Her, Dallas Buyers Club, The Wolf of Wall Street, Philomena, 2013 was a smoking year of cinema. Even Vanity Fair is wondering if 2013 was "the greatest year for movies since Gone with the Wind." Then consider this short list of presenters: Brad Pitt and Angelina Jolie, Christoph Waltz, Glenn Close, Harrison Ford, Charlize Theron and Daniel Day-Lewis. Can you say, elite? Tell us if you'll be hosting a glitzy Oscars watch party from your Museum Tower home. Ask how we can help with your catering needs on the Museum Tower Dallas Facebook page or tweet @MuseumTwrDallas. And don't forget to mention @MuseumTwrDallas in your Instagram party pics.